Despite efforts in Texas to move forward with services for people with developmental or intellectual disabilities, the state still lingers far behind most others in the nation. United Cerebral Palsy conducts surveys on Inclusion of the states, and Texas is always near the bottom. In 2012, out of 51 states and districts surveyed, Texas ranked number 50 at the bottom of the list. In 2016, that ranking had not changed and the only state lower than Texas was Mississippi. While the inclusion survey covers several areas such as employment, housing, services, treatment, etc. 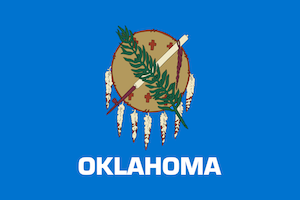 of people with developmental or intellectual disabilities, the disheartening fact is that one of the largest, wealthiest states in the union is unable to raise its level of services in a four-year period. This shows either a lack of concern on the part of the state, a lack of effort, or a combination of both. The state currently operates thirteen “State Supported Living Centers” or SSLCs. These are the large institutions were once called “State Schools” prior to the reorganization a few years ago. According to the DADS website, which is currently transitioning into the HHSC website, all thirteen of these facilities have vacancies, or openings to serve people with developmental or intellectual disabilities. There are currently 376 openings in these facilities according the latest update at the DADS website completed on August 5, 2017. There are 796 facilities in the state of Texas offering Intermediate Care Facilities services for individuals with intellectual disabilities (ICF/IID). These facilities unlike the SSLCs are usually smaller six or twelve bed styled facilities in the community. Many are operated privately by organizations or small corporations. Some are considered non-profit and some are considered for profit. Out of the 796 facilities, 199 of them have openings of one or more vacancies. There is currently a total of 415 open beds in ICF/IID programs across the state of Texas. When someone seeking services considers the openings at the SSLCs and the ICF/IID programs alone, that means that there is a total of 791 openings for people with intellectual or developmental disabilities in the state of Texas. These beds, as they are commonly called have no waiting, and can usually be filled once a person qualifies simply by contacting the provider, or the LIDDA through the local MHMR. Unfortunately, these cornerstone programs of the state’s services for people with intellectual disabilities are not being used, encouraged, or often even presented to families seeking services. What happens to families who approach the local MHMR is they are informed about the various programs in Texas including the Home and Community Supports (HCS), or Texas Home Living (TxHML). The families and the individual with intellectual disabilities is told that they will be added to the “Interest List”. The list, commonly called a “Waiting List” instead of an Interest List by the people on the list, can have an average wait period of three to nine years according to the state’s statistics. The current HCS Interest List according to HHSC or DADS has 85,349 people waiting for services in that program. The TxHmL Interest List currently has 64,993 people waiting for services. A total of 150,342 people with intellectual disabilities or related conditions are on these combined Interest List waiting for services. The problem for the 150,342 people waiting on services in the HCS and TxHmL programs is that they are often never told about the openings for services in the ICF/IID programs. The 415 current openings usually are not presented as an option. SSLCs are almost never mentioned unless there is some behavior issue or issues that might only be addressed by the extreme structure of the SSLC. The result is that ICF/IID operations continue to try to function with open beds when they could be serving people on the HCS and TxHmL list during the wait period. 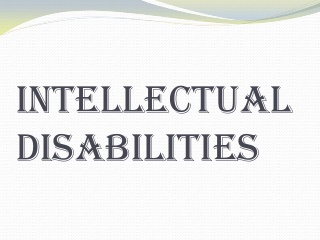 A person with intellectual disabilities can easily be placed in an ICF/IID of his or her choice, receive Medicaid services and programming designed to increase independence, make friends in new settings, live more independently than they could at home, and grow skills needed to have a successful transition into the HCS or TxHmL programs once their opening comes up on the Interest List. Unfortunately, if the family and the individual is never told about the ICF/IID program options, then that person will continue to sit in whatever environment they currently live in waiting for an opportunity that could be three, four, five or even up to nine years away. The problem in Texas is not a lack of programs offering services, the problem is that Texas is not taking advantage of the programs available. Programs like the 199 ICF/IID operations which have openings are not being utilized as a transition service to the HCS programs. In the end, the programs suffer with open beds, the individuals continue to wait on the Interest List, and Texas continues to be unable or unwilling to help at least some of the 150, 342 people waiting to get off the Interest or Waiting List and receive some type of services even if those services are not HCS or TxHmL services immediately desired. Annual State Ranking of Disability Services Puts Texas Near Bottom. (2015, March 20). Retrieved August 07, 2017, from http://www.tcdd.texas.gov/annual-state-ranking-of-disability-services-puts-texas-near-bottom/ 2012Only one state — Mississippi — ranks lower than Texas in providing Medicaid services and quality of life for individuals with disabilities, according to an annual report by United Cerebral Palsy/U.S. This report, The Case for Inclusion, tracks the progress of community living standards for Americans with intellectual and developmental disabilities (ID/DD). Search for an ICF/IID. (n.d.). Retrieved August 07, 2017, from https://www.dads.state.tx.us/providers/icf/search/index.cfm 415 small ICF/IID facilities with openings, 376 State Supported Living Centers with Openings. Austin, Texas' most vibrant holiday winter attraction is back for its 54th year; announces activities, event calendar and more AUSTIN, Texas: The Trail of Lights Foundation today announces dates for the 54th annual Austin Trail of Lights, powered by H-E-B, running from Monday, Dec. 10 through Sunday, Dec.
Texarkana, AR - Social media came alive last night as people started to notice unusually bright lights to the north of the Interstate in Texarkana, Arkansas. Almost immediately people began to post questions such as "Anyone notice those lights?" and "Anybody know what's going on in Texarkana with the lights?" It did not take long for the answers to come flowing in as people responded it's the "Night to Shine" event at the convention center. Spotlights could be seen from across town as they cut into the night to announce that the party was about to begin. Intellectually Disabled - What Happens After High School?